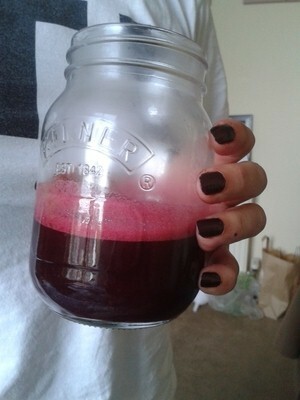 I call this the witches noses drink, because the purple carrots in this juice are fondly called 'witches noses', from the supermarket I buy them from. 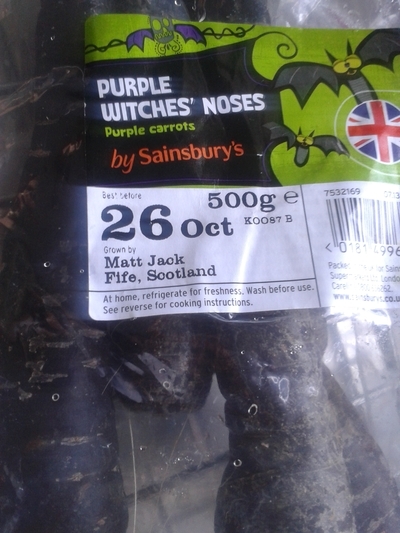 Witches noses are simply purple carrots, which are part of the Halloween edition of fruit and vegetables which have been released for the seasonal festivity. 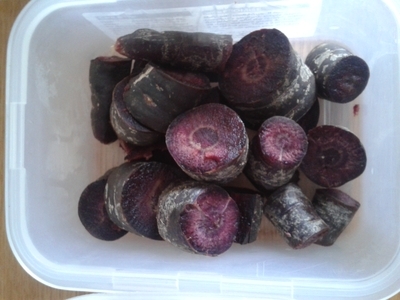 While offering all the benefits normally found in fresh vegetables, the deep purple varieties are free from artificial colours and additives.The purple carrots keep their dark colour to the core, and they juice beautifully. This title makes my niece chuckle, plus it gives her a natural energy boost, and it goes down a treat at breakfast time. Chop the witches noses into chunks. 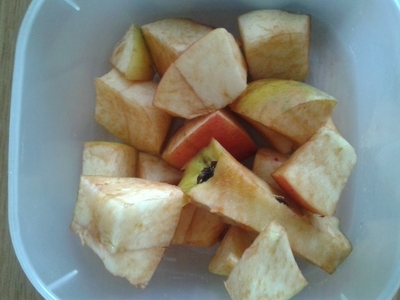 Chop the apples into equal sizes. 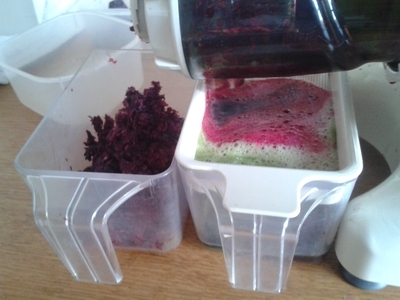 Slice the rest of vegetables and push it all through the juicer. This mix of fruit and vegetables is surprisingly sweet, plus the bright colour makes it more appealing to little ones. 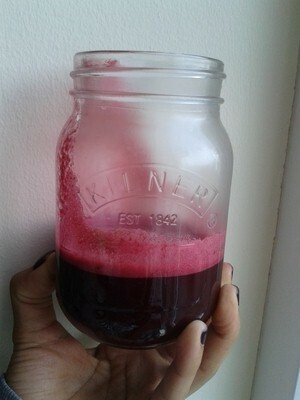 Enjoy at any time of the day, but I like to whip this up in the mornings because it's a great injection of vitamins and nutrients first thing. It sets my four year old niece up for the day, and I drink any juice she's left over, so we're both ready for the day ahead.